Summary: There was a smelter in Canada, and US alleged that fumes from the smelter were carried downriver several miles to Washington State, were it caused anuisance (pollution). 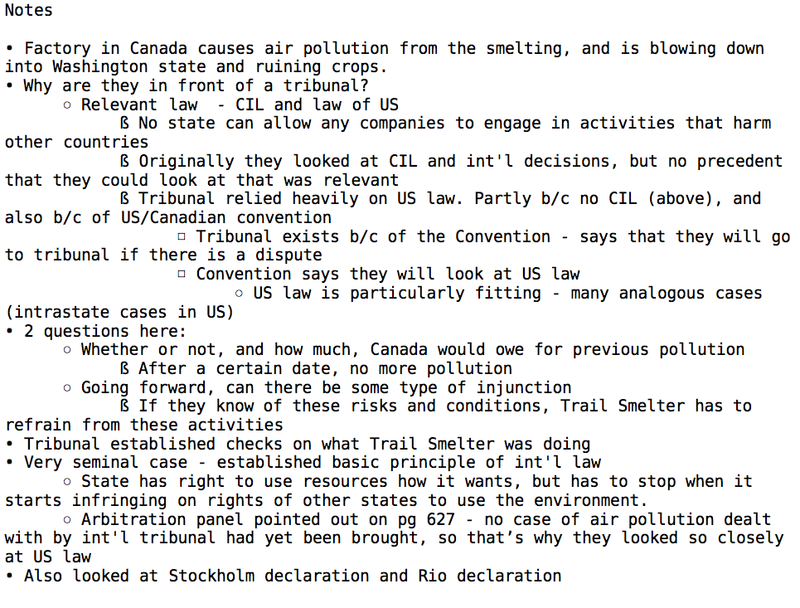 A tribunal was set up to try the case, and it concluded that Canada was responsible to the US for transboundary pollution and owed damages. § Both countries agreed to each provide 1 member of the tribunal, and to choose jointly a chairman who was a national of neither state. So, there was a Canadian member, an American member, and the chairman was Belgian.